Leviton Industrial grade, polarized locking plug has rugged construction that resists impact, sunLight, chemicals and rough use. It has solid 1-piece construction for superior conductivity. It operates at a voltage rating of 600-Volts AC, 250-Volts DC and amperage rating of 50-Amps. The temperature rises from max 30 deg C after 250 cycles OL at 200% rated current. 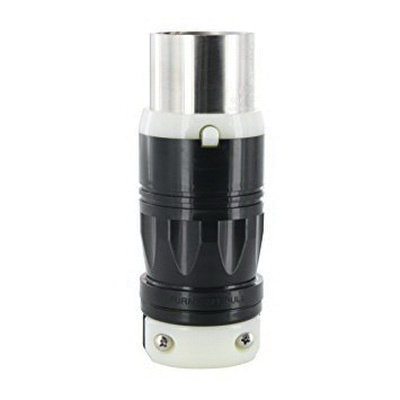 The locking plug has ergonomic, fluted-body design with radial gripping edge that is ideal for gripping and pulling. 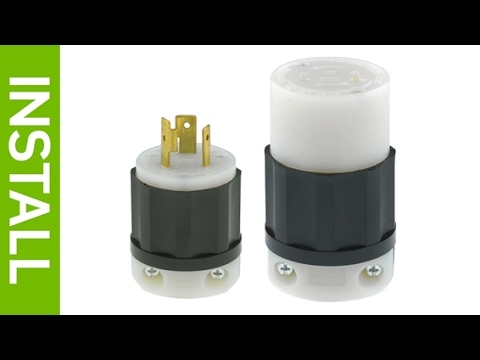 Locking plug meets UL 1682 and 1686, CSA, C22.2 No 182.1, NOM: 057 and RoHS standards.